ISRAEL "A Mystery of Time!" Moses said there are two kinds of things; the secret things and… the things that are revealed. The secret things belong to God and nobody can understand them... and the things that are revealed are for us to act on. The main reason that people get off track in their study of prophecy is that they try to understand the secret things (which belong to God) while at the same time not obeying things that are revealed (which belong to us). Confusion comes when people want to know things that cannot be known. The first key to effective use of biblical prophecy is to know the things God wants us to understand. The second key is whatever God reveals… is to act on it and obey it. The same is for biblical prophecy… we need it, because without it we are just stumbling in the dark. (2 Peter 1:19 – 21) The “prophetic word” is the written prophecies of the Bible! We cannot despise the prophetic Scriptures because Peter says they are a “lamp shining in a dark place!” The world in which we live today is undoubtedly a dark place. Furthermore, it is getting darker. We need light that will guide us through the darkness… and the light God has provided is the prophetic revelation of Scripture. Sadly, it is possible to be wonderfully saved and a good Christian but still walk in the dark… because we have not availed ourselves to the “light” of the prophetic Word of God. When we walk in the dark we stumble over objects we need NOT run into! Without the prophetic word, we really do not know… where we’re going… or understand what is happening in Israel… or in the world around us. Therefore especially in these days we need to be alert as the prophetic word is extremely important. Peter goes on to say that we need to give heed to it; “…until the day dawns and the morning star arises in your hearts” 2 Peter 1:19. This is not referring to the Second Coming of Yeshua (Jesus) but rather… this is an inner, subjective, personal experience as “the morning star shines in our hearts. In the natural realm, the morning star immediately precedes… the rise of the sun! Do you know what the morning star in our hearts does? It tells us that Yeshua (Jesus) is coming back, which gives us hope in the midst of darkness and a sense of excitement for the future. The Lord’s return is the hope for humanity… and nothing else can meet their desperate needs (Isaiah 60:1 -3). The Bible says so clearly that “time” is part of the “mystery” which is now finished at this point in Revelation. Physicists tell us that if someone could board a spaceship that travels near the speed of light, visit a distant star and come back, by the traveller’s time, that person would have been maybe two years on the journey. But, by earth’s time, it would have been two generations. When that person came back, he would meet his great-grandchildren! That boggles our minds. Time is a mystery! Tomorrow is already in today because at midnight it will become today. Bearing in mind, however, that one day we are all going to pass out of time into eternity. Let’s take a look at the three words having to do with time: the Hebrew word for evening is “erev.” It’s always translated evening, sunset or night. The word for morning is “boker.” There’s no question that it means morning. Hebrew speaking Jews greet each other at the beginning of each day with; “Boker tov (Good morning)!” And the word for day is “yom.” As does its English counterpart, “yom” can have a figurative meaning as well as a literal one. Of its 2287 appearances in Scripture, 2008 of them describe a literal 24 hour day. In the figurative sense it can mean a longer span of time, such as in the phrase “Day of the Lord” as in Amos 5:18 where it refers to the 3.5 year long Great Tribulation. But common sense tells us that when combined with evening and morning, as it is in each of the six references of Genesis 1, it’s meant to be taken literally, a single 24 hour period, because there are no figurative applications for the Hebrew words “erev” evening and “boker” morning. And the Bible doesn’t say there were evenings and mornings, it says there was evening (singular) and there was morning (singular). One of each! And… that means one 24 hour day. We also have the first mention of the word day in Genesis 1:5 and it demonstrates the Lord’s intention for the word’s use… And God said, “Let there be light,” and there was light. God saw that the light was good, and He separated the light from the darkness. God called the light “day,” and the darkness He called “night.” And there was evening, and there was morning — the first day.” (Genesis 1:3 – 5) This verse established the way time would be reckoned. First there was evening, the beginning of the dark period, night, and then there was morning, the beginning of the light period, day. This cycle has repeated itself every 24 hours throughout history. When did night and day begin? The Bible says in the first day God says let there be light and there was light and on the fourth day God created the sun and the moon paving way for day and night. Does it mean that there was no day and night during the first three days of creation? The account of each day of creation ends with “And there was evening and there was morning …” this says that each day was defined by a period of darkness followed by a period of light. On day one God created light and on day four God created the light source! The key that unlocks the mystery described lies in the Hebrew language. In Genesis 1:3 the Hebrew word for light is “or”. In Genesis 1:14 the word is “maor” which means light repository, or literally “chandelier.” On day four God in effect gathered… the light of day into the Sun and… the light of night into the Moon and it’s been that way ever since! 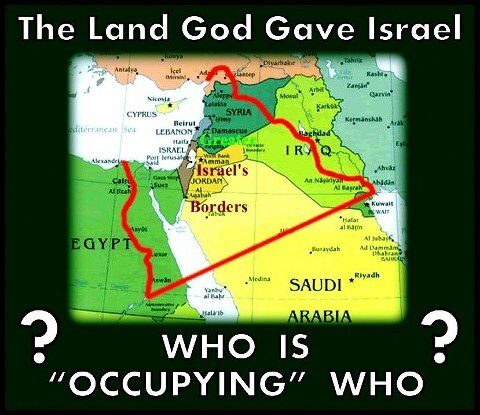 Israel chosen by God as a light to all nations… Why does the Bible talk about Israel so much? Chosen people…? What is the connection between God’s “chosen people” and Bible believing Christians today? Exactly how does ancient Israel fit into God’s plan of salvation? God is not a respecter of persons (Acts 10:34). Yet, He selected the ancient nation of Israel as His “chosen people.” Why? Ancient Israel was God’s chosen people… selected not for special favours, but for a special PURPOSE preparatory to the ultimate establishment of the Kingdom of God! It may surprise you to learn that the Bible is primarily concerned with the nation of ancient Israel… And, that most other nations are mentioned only as they came into contact with Israel. But why…? Man’s awesome potential is that of being born into the family of God through the Jewish nation. God’s plan is breathtaking beyond words! And the establishment of the ancient nation Israel was an integral part of God’s plan. It is important that we understand God’s purpose for the ancient nation of Israel, for without this vital knowledge one cannot fully appreciate and understand the real purpose and incredible potential of mankind! 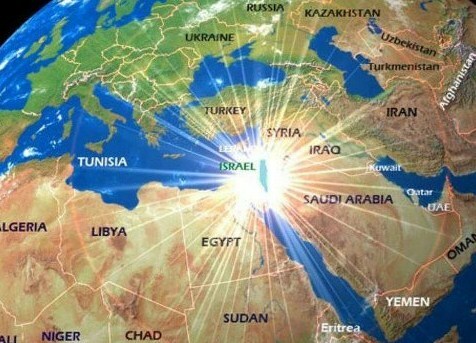 Being the Chosen People means being connected to a Chosen Land… God gave the Jewish people “Eretz Yisrael” (the Land of Israel) which is strategically located in the centre of the world. 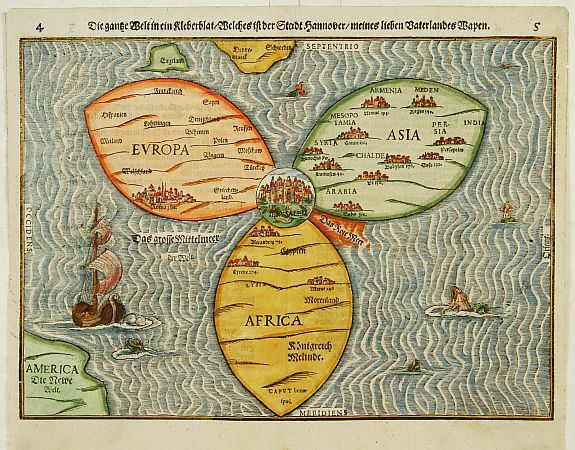 The Land of Israel is the bridge connecting the continents of Europe, Africa and Asia... Because of this central location, the Jewish people had ample exposure to all the nations of the world. Preachers and Theologians are often fond of saying that… History is “His-story,” meaning that God plans and determines the details and events that make up human history ruling over the process from beginning to end to fulfill His great purpose for Mankind. Nothing could be truer of Israel. The history of the Jewish people is “His Story” played out within human history, which has been revealed, foretold, and written in the Bible. Israel’s history is supernatural from beginning to end. It began with the Patriarch Abraham some 4,000 years ago when God called this nomadic wanderer from Ur of the Chaldeans (Modern day Iraq) to leave his homeland and go into the land of Canaan (Genesis 12:1-3). Abraham obeyed that call and became the father of the nation Israel and the Jewish people. Though Abraham, and Sarah his wife, were well beyond the age of having children (Genesis 18:11), God miraculously rejuvenated the ninety-year old body of Sarah to bear them a son; Isaac through whom God would raise up the people and nation the Messiah would come through (Genesis 21:12). With the promised child, came the Promised Land… the land that is called Israel - where Abraham and his descendants would live. Genesis 13:15 and 17:7-8; God promised to give the land to Abraham and his descendants (the Jews) for an “everlasting possession” under the “unconditional terms” of an “everlasting covenant”: Here we observe from Israel’s inception that the history of the Jewish people and their divine destiny is inextricably bound up with the land God promised them. The covenant referred to in Genesis 17:7 - 8 is formally called the “Abrahamic Covenant.” It is an eternal covenant made between God and Abraham and his descendants forever. God essentially established through this Covenant with Abraham a people from him (the Jewish people), a place for them (the land of Israel), so that the purpose of blessing all the nations of the world could occur in perpetuity, that is forever! Thus God gave the land of Israel to the Jews forever and to NO other ethnic group or nation, protestations from the Arabs, Palestinians, and International Community notwithstanding. The law of first mention states that when a thing is mentioned for the first time in the Bible it carries the same meaning all throughout the Scriptures. It establishes the Bible as consistent in its meaning from beginning to end as it applies to persons, places, events and things. We have the first mention in Genesis 13:15 stating that God gave the land of Israel to Abraham and the Jewish people forever. This truth is reiterated throughout the rest of Scripture and establishes the rightful owners of the land to be the Jews granted by divine right. There is NO deviation or alteration by God from this covenant. It stands for all time. The ongoing struggle for Israel’s right to live in the Land of Promise has already been settled once and for all by the eternal counsel of God as codified and enacted in the Abrahamic Covenant. God has spoken and His Word on this matter is settled forever (Psalm 119:89); thus all the political wrangling about who the land belongs to… is quite simply not debatable and in the end irrelevant and inconsequential. What is the relevance to us in this day and age and as Christians… to consider such a small nation as Israel? Why is Israel so important today? Well firstly Israel is God's witness to mankind, both of His very existence and of His purpose with this earth. We can read in Isaiah: “But you, O Israel, My servant, Jacob, whom I have chosen, you descendants of Abraham My friend, I took you from the ends of the earth, from its farthest corners I called you. I said, `You are My servant'; I have chosen you and have not rejected you” Isaiah 41:8 – 9. And: “You are My witnesses," declares the LORD, “and My servant whom I have chosen, so that you may know and believe me and understand that I am He. Before Me no god was formed, nor will there be one after Me. I, even I, am the LORD, and apart from Me there is no saviour” Isaiah 43:10 - 11. Secondly, current world and particularly Middle East events are happening according to a pattern long ago predicted in the Bible… These prophecies place Israel exactly in the political and economic position she is now in. Further these prophesies tell us that Middle East events occurring now, herald even more important events to come… events of paramount importance, not just for Israel, but for the whole world! For many years the church didn’t fully comprehend what the Scriptures declared regarding God’s plan for Israel… Or that Israel was important to Christianity and that Christians, needed to pray for the peace of Jerusalem. Yet even today still have no real understanding of what this entailed. Only within the last few decades have they begun to comprehend God’s zeal over this people (the Jews) who seem to be continually at the centre of international controversy. To truly know God’s heart, we must understand what is in His heart regarding the nation of Israel… By the inspiration of the Holy Spirit, Paul declared that all Israel would be saved (Romans 11:25 – 26). Paul wanted to inform the gentile believers in Rome of God’s plan to save the remnant of Israel at the “end of the age or end of time.” All believers must comprehend that God has a plan for His chosen people, Israel, which includes the salvation of every Jew who will be alive on the planet at the time of Yeshua’ (Jesus’) return. Never in history has the earth seen “a nation” that is 100 percent born again. Yet, in the generation in which the Lord returns, all of Israel shall be saved. This reality is burning on the Lord’s heart, and He wants our hearts to burn with His… to love the people He loves and pray for their salvation. 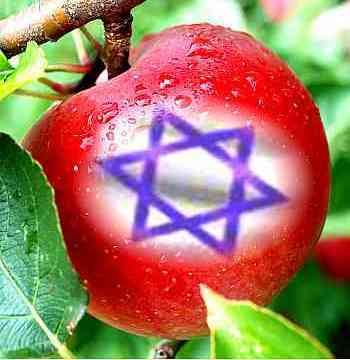 He has set His affections upon this nation of Israel. Consider the greatness of our God: He is so superior to all created things that it is dramatically humbling for Him to even look upon His creation… He is highly exalted over all His works. He is the Sovereign God of the entire universe. All things came into being and are held together by His very Word. His ways and thoughts are far superior to ours. In this age, we are only able to understand a small fragment of His plans. Yet, at the same time, the things that we are able to comprehend are enough to thrill us all the days of our lives! God’s eternal purposes are beyond our comprehension…. He continually makes decisions according to His eternal purposes and the reasoning behind His plans is not apparent to us because we lack the information that only He possesses. He knows everything and accomplishes everything that He desires in perfection according to His eternal purposes. Ultimately, His ways and decisions are infinitely higher than our own. In this age, even the most spiritually sensitive, prophetic person sees; “…through a glass darkly” (1 Corinthians 13:12). It is God’s privilege to choose what He desires and to reveal to us or to veil from us whatever He desires. Undoubtedly, God’s election and choice of Israel has manifold purposes that we cannot and will not fully comprehend in this age and time! He is the Sovereign God who operates all things flawlessly. Since He is perfect and all that He does is perfect, we can ascertain that His choice of Israel is perfect. He has chosen this nation that descended from Abraham, to fulfill His purposes in this age. He is God and His choices are good. In God’s address to Israel at the onset of the exodus from Egypt, we find the first of several reasons for His choice. “Now therefore, if you will indeed obey My voice and keep My covenant, then you shall be a special treasure to Me above all people…” Exodus 19:5. God chose the people of Israel to be a “special treasure” to Him. The New International Version translates the phrase as “treasured possession.” At times we overlook the fact that God yearns for intimacy with people. His heart burns with passion to give and to receive love. He Himself is love, and therefore He must love. Love that does not give is not love at all. He selflessly gives love to ones who have the option of rejecting His love. God has always desired intimacy with all the people of His creation. When He carried Israel out of Egypt so that they might worship Him in the desert, we see the very core of God’s desire for all the nations… He chose Israel to be a people who would voluntarily love Him and demonstrate to all the earth His desire for intimacy with all mankind. God wanted a people with whom He could express the affections of His heart as a template for relationship with the rest of creation. “And you will be for Me a kingdom of priests and a holy nation…” Exodus 19:6. God wanted Israel to be a nation whose entire purpose was to be “a priest-hood” to Him. Because God longs for intimacy, He wanted to give His people access to “His heart and His emotions.” He desires to give and receive love from mankind. Just as priests are called to stand before God and bless Him with worship and adoration, Israel was to serve the Lord as a “kingdom of priests”… as a nation who would not only minister to God’s heart, but would also minister on behalf of God to the hearts of men. God raised up Israel as an example of what He would do for the nation whose people would fully give themselves to Him... He declared to Israel that He would bless them abundantly if they would serve and obey Him. (Deuteronomy 28) By separating this people unto Himself and blessing them greatly, He would provoke all nations of the earth into seeking this same intimacy with their Father. Since God determined to send His Son to the earth as a man, He had to choose a people through whom His Son would be born… In His sovereignty, God chose Abraham and formed the nation of Israel through his lineage. One of the divine purposes of this nation was to birth Messiah. How amazing to think that when God chose Abraham, He chose him so that He could bring forth Yeshua (Jesus)! No wonder He is zealous for Israel with such great zeal! Isaiah 62 is an extremely important chapter regarding God’s end-time plan for Israel and how He will use night and day prayer to bring His purposes to pass… Perhaps no other verses in the Bible describe with such clarity God’s desire for Israel. Here God clearly spells out His strategy… “to make Zion (Jerusalem) a praise in the earth” (v. 7). God is zealous to see Israel burning with righteousness and salvation. 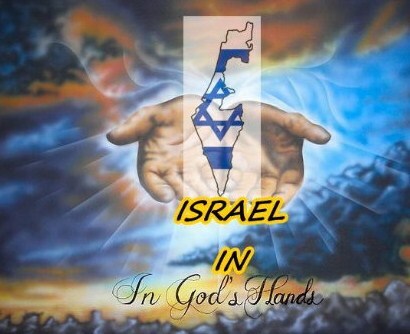 In that day the people of Israel will be a “crown of glory in the Hand of the Lord” (v. 3). God is the perfection of beauty. “He wraps Himself in light as a garment” (Psalm 104:2). What kind of crown could possibly adorn the One who is beauty Himself? Isaiah conveys that Israel will burn with righteousness and glory to such an extent that they will be beautiful not only to the Lord, but also to the nations of the earth. “You shall no longer be termed Forsaken, nor shall your land any more be termed Desolate; but you shall be called Hephzibah, and your land Beulah; for the LORD delights in you, and your land shall be married,” Isaiah 62:4. The Lord Himself is going to give the people of Israel a new name. Rather than being called “forsaken,” they shall be called “Hephzibah”; literally, “the one in whom the Lord delights.” God has always delighted in His people. Though they rejected their Messiah at His first coming, God has continued to call them His people (Romans 11:2). When He gives them their new name, all the earth will know that this is the nation in whom God delights. Before Yeshua (Jesus) returns, Antichrist’s armies will devastate Israel (Joel 3:2, 12; Zephaniah 3:8; Zechariah 12:2–3, 14:2; Revelation 16:14), and the nations of the earth will consider her forsaken by the Lord. Yet God will not leave Israel in that state. Isaiah declares that rather than being considered desolate, they shall be called “Beulah”; literally, “married.” God will heal Israel’s land, and all the nations of the earth will know Israel as the people who are married to the Lord. What a dramatic turnaround is in store for this nation! “For as a young man marries a virgin, so shall your sons marry you; and as the bridegroom rejoices over the bride, so shall your God rejoice over you.” Isaiah 62:5 God will rejoice over Israel in the same way that a newly married bridegroom rejoices over and delights in his bride. God does not call Israel to salvation simply to fulfill a contractual obligation; He is deeply in love with His people, passionately longing for them… and, when they come to the knowledge of Yeshua (Jesus) as Messiah, they will experience the full measure of God’s great passion and joy over them. In that day, His eternal desire for them will be fulfilled. They will give Him their love with abandoned zeal. This is a non-negotiable plan in the Lord’s heart. He is burning with desire to see Israel fully in love with His Son; He is committed to and focused on the salvation of this nation. Today many of the people of Israel are socially “Jewish” but religiously agnostic. 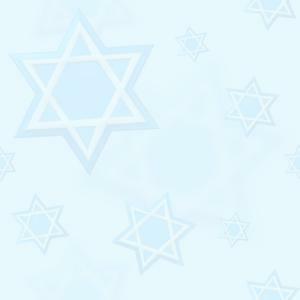 However, one day every nation will regard Israel as the picture of righteousness, burning with passion for her Messiah. In that day all the nations of the earth will be instructed by Israel’s example. Isaiah 60:3 declares that all the nations of the earth will be drawn to Israel because of her light and beauty… She will be a crown of glory to the Lord, a royal diadem for all to see. Israel exists today because God made a promise to Abraham, the father of the Jewish people, and a man of great faith… That promise forms part of the gospel! Paul declared in; Galatians 3:8, “And the Scripture foreseeing that God would justify the nations by faith, preached the gospel before to Abraham: ‘All the nations will be blessed’ in you.” (Genesis 12:3) Therefore, long before the advent of Christ, the gospel had been revealed in the form of promises to the fathers of the Jewish race. Paul also wrote in Romans 15:8 - 10, “And I say, Jesus Christ has become a minister of the circumcision for the truth of God, to confirm the promises made to the fathers, and that the nations might glorify God for His mercy, as it is written, "For this cause I will confess to You in the nations, and I will praise Your name. And again He says, ‘Rejoice, O nations, with His people.” The Lord Jesus Christ further taught a Gentile: “You worship what you do not know, we know what we worship: for salvation is of the Jews,” John 4:22. This statement must be an embarrassment to religionists who claim that God has no future for the Jewish nation! The Jewish people witness to the truth of God's Word because their very preservation as a people throughout the ages, and the current revival of the nation in the Holy Land are clearly God-designed and God-directed. God stated that though the people of Israel would ignore His teachings and ways, God would honour the promise He made to Abraham by restoring Israel as a nation in their ancient territory (Ezekiel 36:22 – 24). The revival of Israel today is proof positive that we can rely upon His Word…! This was also the theme of apostolic preaching. When the Lord was about to ascend into heaven, his apostles asked him: “…Lord, do You at this time restore the kingdom to Israel? And He said to them, ‘It is not for you to know the times or the seasons, which the Father has put in His own authority.’” Hi literally told them, “The time is not ripe!” Shortly afterwards He ascended into heaven, and as He did so, two angels addressed the apostles with these thrilling words; “… men of Galilee, why do you stand gazing up into the heaven? This same Jesus, who is taken up from you into Heaven, will come in the way you have seen Him going into Heaven. (Acts 1:11) The personal, visible return of Christ to reign on earth, and the restoration of Israel as proclaimed by the prophets, became the basic doctrines upon which first century Christianity was established. So Peter further preaching and confirmed this in Acts 3:19 -21. 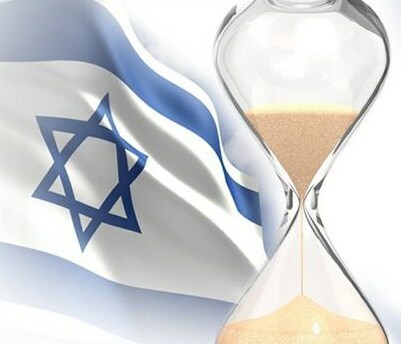 Israel is… a Mystery of Time! Israel is one of the oldest countries in the world, and, paradoxically, also one of the youngest! It is the only country to have been reborn out of antiquity, revived after a struggle as dramatic as any recorded in the Old Testament. The Jews are the only people to have been scattered throughout the world, bitterly persecuted by most powers for over 2,000 years, and yet gathered together into a nation once again. Israel's language (Hebrew) is the only speech to have been resurrected from a dead language to a living, virile, modern one. The nation exists on a strip of land so narrow that on most maps its name must be printed outside its borders… Yet it possesses more historic and religious sites of significance to the world than any other country. Compressed into those narrow borders is a microcosm of the whole world, for the average Israeli, or his parent, have migrated from any of more than a hundred different lands. To live in Israel is like living in a pressure-cooker; it is always under tension. Yet the nation continues to expand and develop more rapidly than other larger countries. The revival of Israel in the land today is preliminary to the restoration of those things spoken of by the prophets… It is a nation where the almost miraculous becomes the normal!